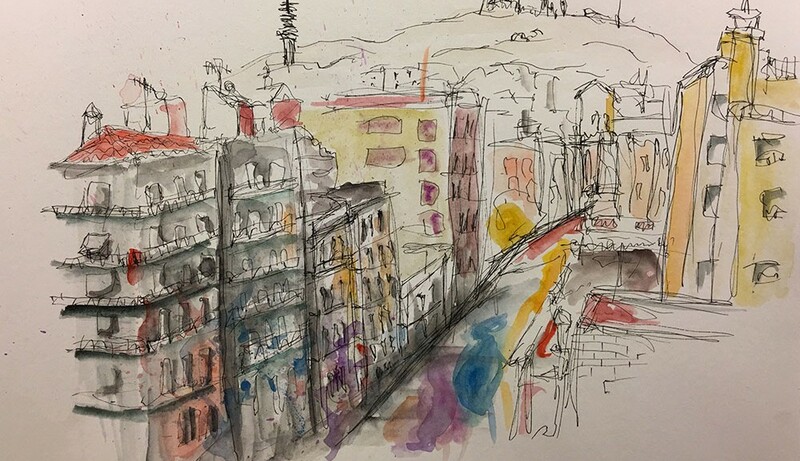 Preparing for a high school trip to Cuba in a few weeks, Fiona launched into urban sketching styles and techniques. 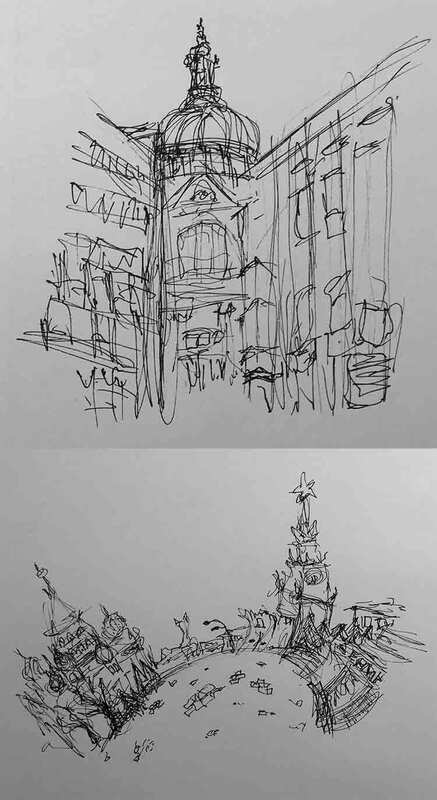 As she experiments with loose line work, Fiona is learning about what to leave in and leave out, while sketching swiftly. She discovered that wonky lines are cool! Her next studies will incorporate watercolor washes and trips downtown to capture some local color. Becky with the fresh catch of the day. 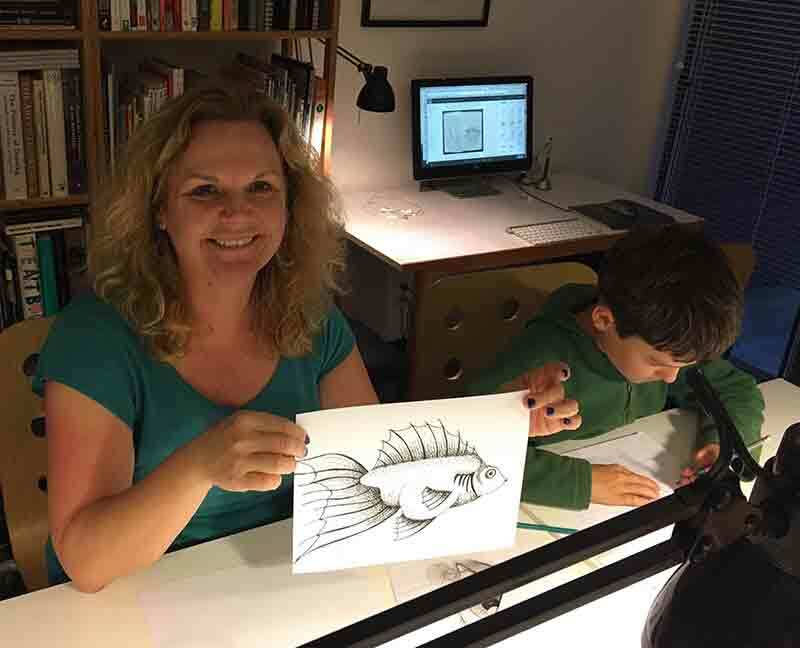 Meanwhile, her son, Devin, was deep in the flow of learning about facial expressions of the human face. Becky chose to explore the precision of the stipple technique with a Tombow pen. 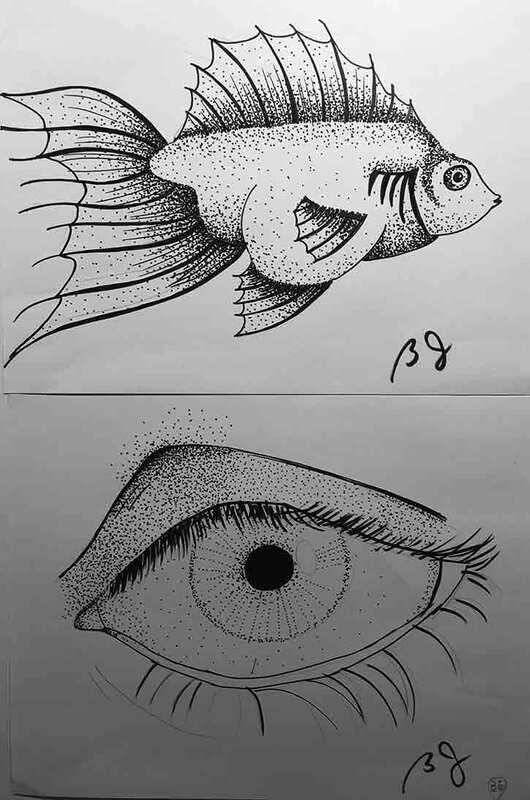 She quickly found the rhythm of carefully placed dots to her liking as she cranked out two finished compositions in a single session! 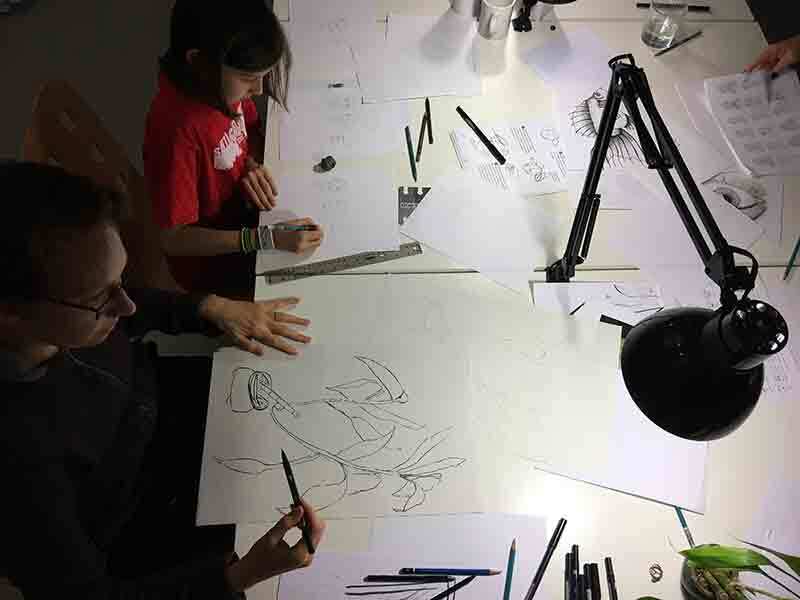 As Scout began her first cartoon character model sheet, her mom, Zak opts for practicing an extended grip to test the sensitivity of a Tombow to record organic contours of a plant. 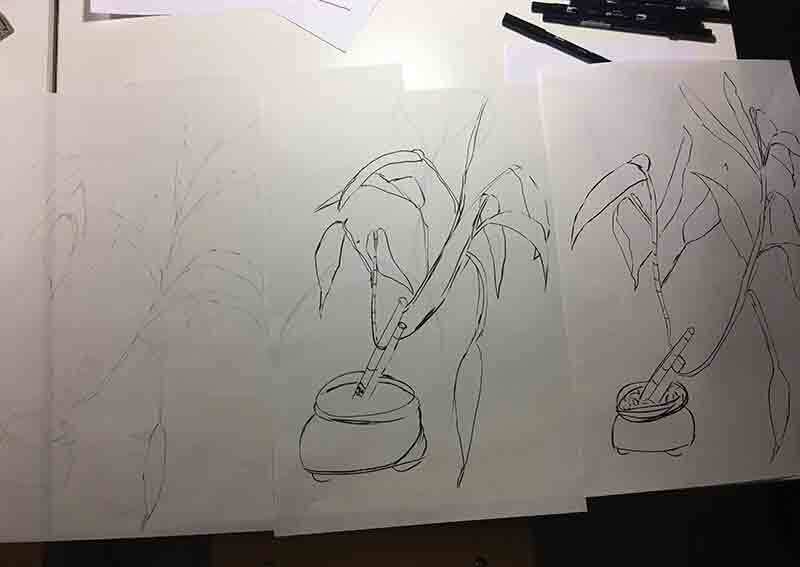 Zak’s first ever contour line studies started with a pencil sketch, shown at left. 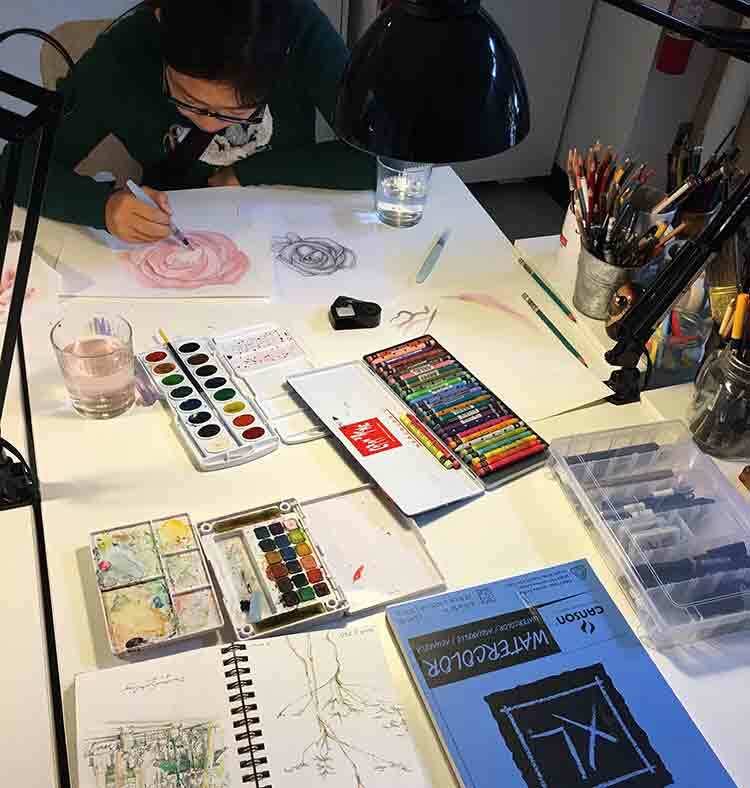 She then picked up a Tombow pen and went directly to ink on paper, without sketching in pencil, as she played with thick and thin lines to depict organic edges. You can also see an excellent job in how she overlapped leaves to show the 3D depth of the plant. 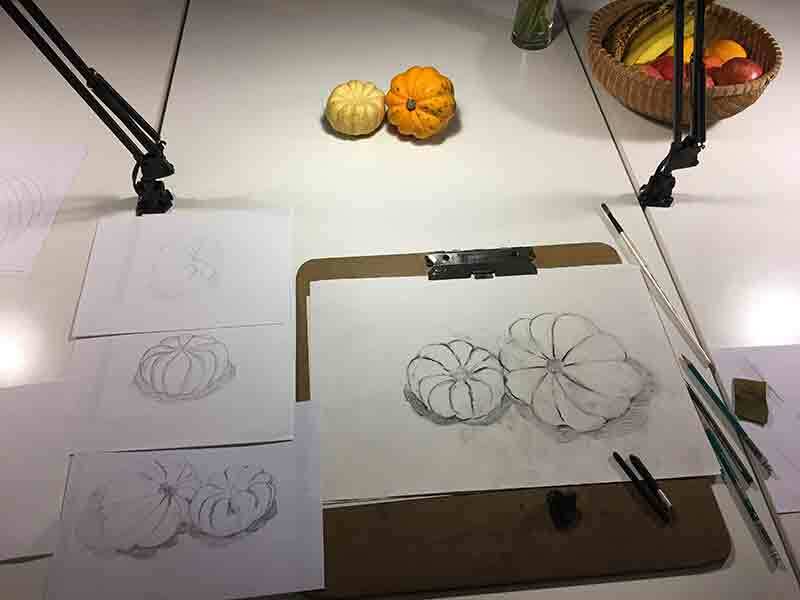 Adult sketcher, Lori, moves to Level 2 with these superb graphite and charcoal studies of squash.